The Official 13th Annual Pagan Pride Raleigh Wrap-Up! First and foremost, a big THANK YOU to all of our 2013 attendees, vendors, performers, workshop leaders, volunteers and staff. Without all of you this event wouldn't be what it is today!!! This year was the largest Central NC Pagan Pride Days Festival yet! With over 3500 people in attendance, across both days, we were able to collect Food and Cash donations equaling 11,003 pounds for the Food Bank of Central and Eastern NC, enough to provide 9266 meals to those who need them. The wonderful folks with the Wake County Animal Center raised over $200 in donations, including numerous donations of cat and dog food, toys, containers, cleaning supplies, etc and most importantly found loving homes for 9 amazing animals (4 puppies, 1 adult dog, 2 kittens, 2 adult cats). The American Wildlife Refuge collected just under $400 in cash donations. While Midgard Serpents Reptile Rescue & Sanctuary received $200 in cash donations, plus roughly $2,000 in equipment donations. On top of all of this, the Blood Donors at our event gave 21 units of blood to the American Red Cross of the Triangle, enough to save an estimated 63 lives. To say this year was a huge success would be an understatement. 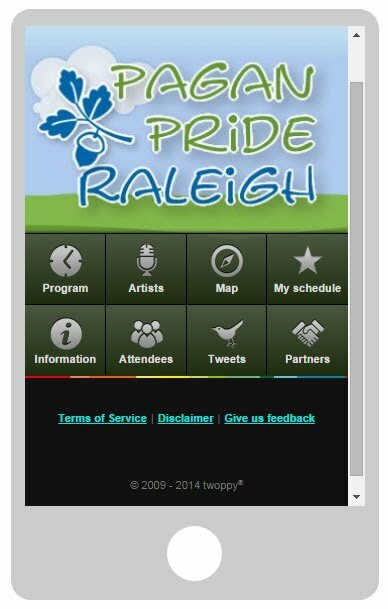 Lets do everything we can to make Pagan Pride Raleigh 2014 even better! The kick-off meeting for the 2014 event is on October 13th at 2pm at Gaia's Gardens in Raleigh, and all are welcome. Again, we thank everyone who made this year (and every year) possible!! Be sure to mark your calendars for the 14th Annual, Pagan Pride Raleigh!! See you all again next September on the 20th and 21st, 2014, at the NC State Fairgrounds.